Australia's alliance with the United States will grow from strength to strength as a result of the 2016 Defence white paper, according to Defence Industry Minister Christopher Pyne. Delivering a keynote address in Washington at the G'day USA US-Australia Dialogue, Minister Pyne talked up Australia's expanding defence industry and capabilities and how important the Australian-US alliance is. "There has never been a more important bilateral defence relationship for Australia than our alliance with the United States. "The expanded Defence Force capabilities the Australian government has committed to will allow us to do even more, making Australia an even better ally." The Minister emphasised the two nation's shared values, both past and present, and how significant the defence industry is in protecting these values. "It [the alliance] is a source of strength and confidence for both our nations. "That strength is underpinned by the military capability we bring to deter our adversaries and to defend our shared interest wherever they are engaged around the world. Our defence industry is critical to that capability. It is a fundamental part of our independence and our sovereignty. "It is important to reflect on the shared values and history that made the Australian-American alliance possible. The citizens of our two lands have always cherished liberty – and known it requires courage and sacrifice to ensure that its flame burns bright, in the present and for future generations." Minister Pyne said the $195-billion investment outlined in the Defence white paper supported President Trump's calls for allies to 'pay their own may' in military capabilities. "President Trump is right to expect that the friends and allies of the United States play their part in contributing to international peace and security. "Australia is resolute in its determination to meet our alliance commitments, increasing our defence budget to 2 per cent of gross domestic product by 2020-21. "We will spend some $195 billion over the next decade on a massive renewal of our defence capabilities to assure our long-term security into the next half of this century. "A stronger Australian industry capability will allow us to be a more capable ally, manage a more contested regional security environment and support deployed United States forces, including those in northern Australia." 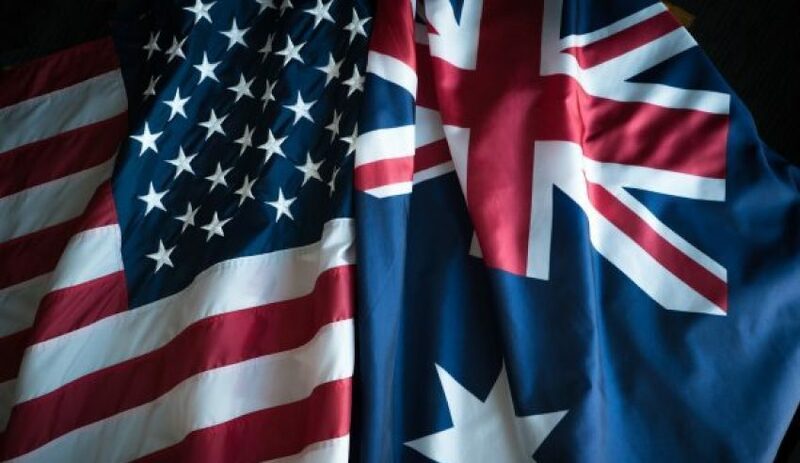 The US-Australia Dialogue, organised by the Department of Foreign Affairs and Trade, is a key annual program of events to promote Australian capabilities in the US, bringing together industry leaders and influencers across government, business, tourism, academia and the arts. Representatives from Canberra-based defence firm Kord Defence attended a signing ceremony after securing a US$2.25 million contract to develop innovative products for the United States Marine Corps. Other Australian defence firms like NSW' Varley Group, which secured a $10 million contract with a US defence avionics company earlier this year, also travelled to the event to promote the Australian defence industry's capabilities.